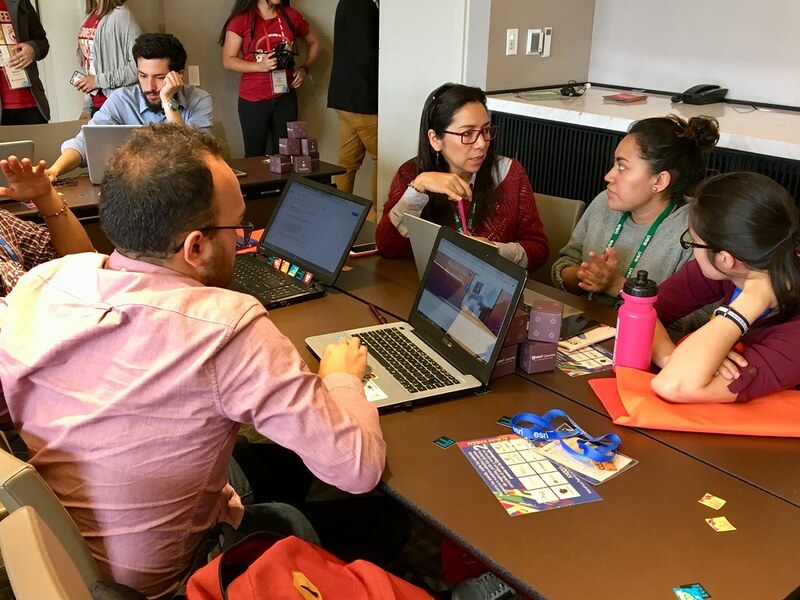 On Tuesday, September 18, Cepei and Esri Colombia organized, within the framework of the Colombian Esri Users Conference (CCU2018) two events focused on the Sustainable Development Goals and the 2030 Agenda, with the participation of over 50 representatives of public entities, private sector, civil society and academia interested in statistical concepts and working with qualitative and quantitative data. 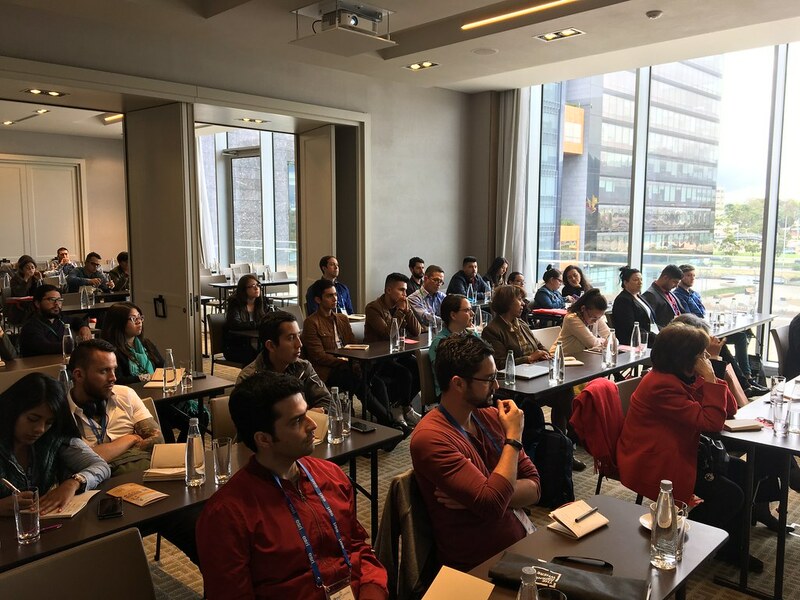 Bogota, 18 September, 2018 – The Colombian Esri Users Conference (CCU 2018) is an annual event organized by Esri Colombia, which provides the opportunity to learn about the most innovative geographic projects in the country and interact with the main experts from different industries nationwide. The conference invites all participants to learn, solve doubts and meet people with the same interests. 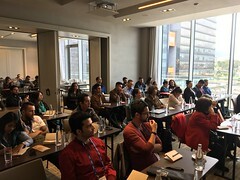 This year, the meeting, held at the Grand Hyatt Hotel, offered a series of activities: Technical workshops; Planet Esri, a space dedicated to the construction of innovative geo-solutions; Pre-conferences, to learn and take advantage of the latest innovations in GIS technology; and EspoSIG – Expogeográfica, a place to explore, collaborate and find inspiration. 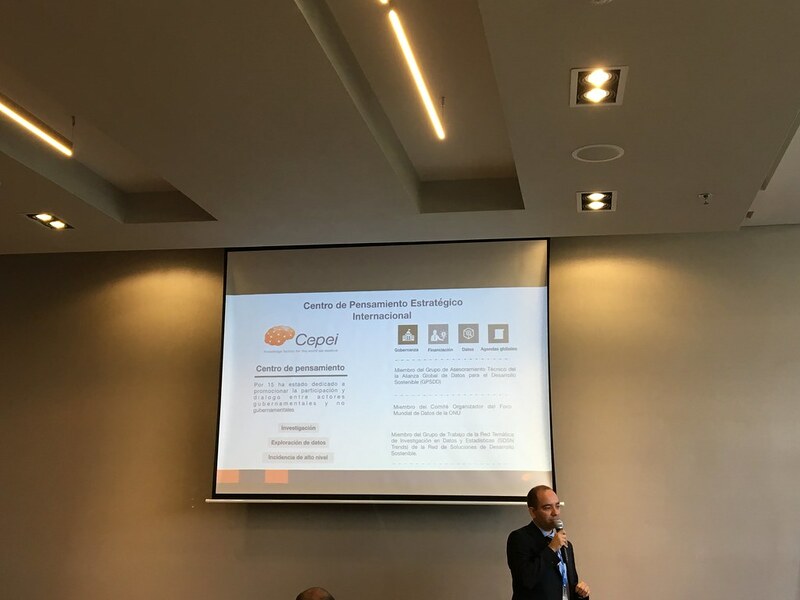 Cepei was present at the CCU 2018 as the organizer, together with Esri Colombia, of two events that took place on September 18, when the Pre-conferences were held. 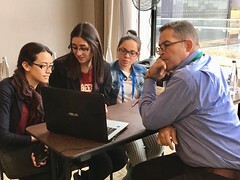 The first of these was the Planeta Esri Challenge, in which 50 participants created innovative geographic solutions that promote the Sustainable Development Goals in Colombia, through the design of Apps that contribute to the identification of needs and challenges for the implementation of actions related to the Global Goals. 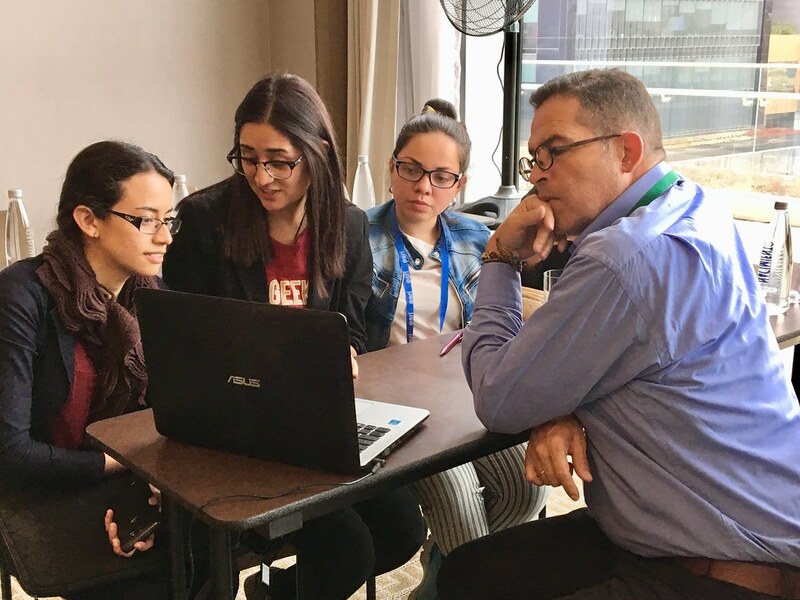 50 participants from the basic and advanced categories competed in the Planeta Esri Challenge. Photo: © Cepei. The activity focused on 6 SDGs: SDG 6, Clean water and sanitation; SDG 7, Affordable and clean energy; SDG 11, Sustainable Cities and Communities; SDG 12, Responsible consumption and production; SDG 15, Life on land; and SDG 17, Partnerships for the goals. 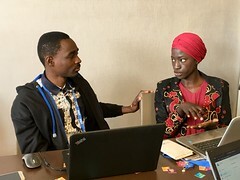 The second event was the SDGs Laboratory, attended by 60 participants, which aimed at increasing the awareness and interest of the participants on the use of data and related technology (analysis, maps, visualizations, tools, among others) to address and solve problems related to the implementation of the Sustainable Development Goals. Specifically, the participants had to elaborate stories based on data related to SDGs indicators, using the Story Maps tool of Esri. The best stories will be published soon in DataRepública and Story Maps. Cepei and Telefónica, as members of the Global Partnership for Sustainable Development Data, signed an agreement to strengthen the data ecosystem for sustainable development in Latin America. From this alliance was born the DataRepública project, an initiative that aims to support the articulation of the data ecosystem for sustainable development in the region, through the mapping of data and information sources, analysis and stories with data, and training strategies for journalists and other interest groups. DataRepública offers a collaborative platform where civil society, academia, public sector and multilateral organizations can contribute and boost their role as managers of sustainable development in our countries. Publica, one of its three components (the other two being Conecta y Aprende) is a collaborative space dedicated to the creation and publication of stories with data.